The Houston Chronicle reports that Lieutenant Governor David Dewhurst, who leaves office this January after a dozen years in office, is thinking about running for Mayor of Houston next year. Dewhurst, who was defeated for re-election by Lieutenant Governor-elect Dan Patrick earlier this year, must think the third time is the charm. Before being defeated for re-election, he ran for the US Senate in 2012 when Senator Kay Bailey Hutchison retired. Despite being the odds-on favorite for most of the campaign, Ted Cruz won an unexpected, grassroots-based victory over him and succeeded Hutchison in the Senate. Speaking of next year’s mayoral candidates, another name has popped up since I last profiled the plethora of pretenders to the throne, so to speak. Bill King, the former Mayor of Kemah and a longtime columnist for the Houston Chronicle, is now telling people behind the scenes that he will toss his hat in the ring. King has always been a nice guy with noble ambitions, but many of his Chronicle columns were sometimes just silly. Every single week he would repeat the same trite points about how it was absolutely necessary to gleefully crush public sector pensions or else Houston would turn into Detroit. I tend to agree that something needs to be done in the budgetary department, but the points lose their ripeness the fourth time they are iterated in a month. Additionally, being the Mayor of multiple cities (when they do not merge) just makes me uncomfortable, similar to Scott Brown’s ill-fated run for the Senate in New Hampshire this year. 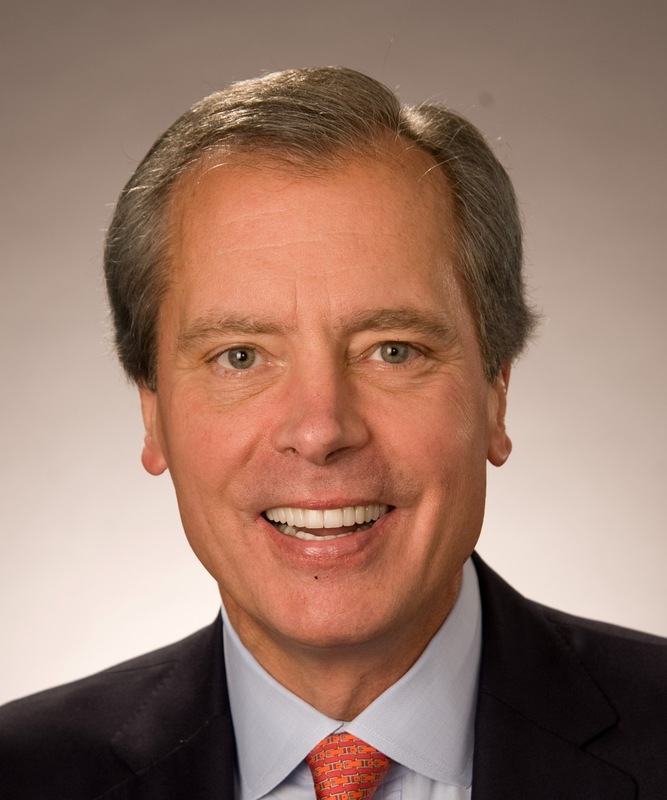 Back to Dewhurst, I’m not sure how much financial support he could muster, though he is independently wealthy enough to self-finance. Moderate Republicans already have a gaggle of affluent White men competing for their support, and I’m not really convinced that Dewhurst fills any unfilled niche. And, to bring up the obvious point, Republicans will not likely win the Mayor’s office this next election. Houston is and continues to be a ferociously liberal city. It has not elected a Republican Mayor since the 1970s, and 2015 certainly does not look to be the exception to the rule. Additionally, though Dewhurst deep down is rather moderate and likely doesn’t care much for social issues, that side of him has been all but eviscerated in two statewide Republican primaries dominated by the Tea Party. The Republicans running for Mayor this year either openly disagree with their party on issues such as gay marriage and abortion, such as City Councilmember Stephen Costello (R-At Large 1), or prioritize other issues, such as City Councilmember Oliver Pennington (R-District G). If Houston doesn’t elect Republicans, we most definitely do not elect socially conservative Republicans. Not in 1985, not today. For the most part, Texpatriate endorsed Democrats this election cycle. An absolutely contemptible slate of statewide non-judicial Republicans, along with Harris County courts that are — all too often — corrupted or being run inefficiently, led us to disproportionately back the Democratic challengers. In editorial squabbles, especially compared to last year, I found myself seldom in the minority. In fact, only in one contest, the Land Commissioner election, did I dissent from the endorsement. If you still haven’t voted yet, please do so, whoever you will support. If you have ever read something on this publication before, you are likely familiar with my skepticism as to Battleground Texas’ short-term feasibility, as well as the statewide Democratic slate. I’m not holding my breath for any statewide Democrats to win, but I’ve never insisted that their victory should be the number one priority. Since mid-2013, I have been writing that even a loss could be a win for Texas Democrats, and the rationale rests upon three main items. First, State Senator Wendy Davis (D-Tarrant County), the Democratic candidate for Governor, and the rest of the ticket need to move the needle. Bill White, the Democrats’ 2010 gubernatorial nominee, garnered 42% of the vote. Davis needs to do better in order for the pipedream of Texas turning blue to be taken seriously. She doesn’t need to do much better. After all, 2014 is shaping up to be a bad year for Democrats nationwide. But she needs to do better. Second, the rest of the Democratic slate needs to do better. White significantly outperformed his compatriots because, as a popular former Mayor of Houston, he received many crossover votes, but also his running mates were lousy candidates. With downballot choices this time around such as State Senator Leticia Van de Putte (D-Bexar County), the Democratic candidate for Lieutenant Governor, and Mike Collier, the bombastic and stellar Comptroller candidate, the same simply cannot be said again in 2014. Oh yeah, and the Democratic candidate for Attorney General is named SAM HOUSTON! In all seriousness, he is a talented lawyer and a good candidate, but his rockstar name will ensure he probably does better than any other Democrat. The Democrats running statewide in 2010 not named Bill White received anywhere from 34-37%. That number’s median needs to be raised to at least 40%, in my opinion. That is comparable to how statewide Democratic candidates not named Barack Obama did in 2012. Third, and most importantly, Davis needs to lend her coattails to Democratic pickups in Bexar (San Antonio), Harris and Nueces (Corpus Christi) counties. She also needs to have a strong enough performance in Dallas County to ensure the countywide elected Democrats politically survive there. I’ve seen no evidence that Nueces County is in play, but the other counties (including Dallas) look to be tossups. This is perhaps the most important. If Democrats pick up anything in either Bexar or Harris Counties, it will largely justify some progress and otherwise good news for Democrats. This could be as simple as merely winning the DA’s office in Harris County. If they, by some lucky maneuver, can win all the way down the ticket in either county, it would be a truly cause for celebration. But going Zero for whatever once again in both counties would, similarly, cause alarm bells to ring. Losing in Dallas County would cause hell to break loose. I have opined before that, if the Democrats do really, really poorly, as in less than 40% of the statewide vote, Battleground Texas will pack up and go home. Talk of “turning Texas blue” will be a one-time debacle only uttered in Washington DC bars, with the same lamentations as soft drink executives recalling New Coke. For the record, I don’t think that will occur, but it is certainly within the realm of possibility. That is why it is so important to vote. Statewide races will almost certainly not be decided by close margins, but in Harris County they certainly could. Judge Kyle Carter, a Democrat in the 125th District Court, got re-elected by fewer than 2000 votes last time. Mike Sullivan, a Republican, was elected Tax Assessor by a similar margin. On first count, President Barack Obama carried the county by TWO votes. TWO votes. That’s you and one friend. About two months ago, I wrote a featured five-part series about the 2016 Presidential election, specifically all of the politicians (Democrat and Republican) who have been discussed as prospective presidential candidates. (If you don’t want to navigate through five different articles, I have abridged the entire thing onto one post here). I pointedly only considered candidates who had openly discussed the prospect of running for President, and not those who have unequivocally ruled it out of the picture or remained silent. Among those individuals was Mitt Romney. I wrote, back in July, that “There is still an active draft movement for Mitt Romney, former Governor of Massachusetts and the Republican Presidential nominee in 2012,” but no more. I kept my comments rather concise because, hitherto that article, Romney had been quite adamant with his intention to not run for President again. Romney, of course, was the Governor of Massachusetts from 2003 to 2007, and then ran for President twice, in 2008 and 2012. Last week, POLITICO reported that Romney’s tone had changed, ever so slightly, on his future Presidential prospects. The previous rhetoric regarding the future had changed from “No, no, no, no, no, no, no, no, no” to “circumstances can change.” That’s a big change, and it’s the milquetoast, political way of telling the world you have somewhat changed your mind on the matter. A few days later, POLITICO also reported on a Gallup poll out of Iowa that shows Romney decisively leading the pack for the 2016 Republican Iowa Caucuses. Romney received 35% of the vote in the survey, whereas the next-highest recipient was Undecided with 10% (number three was Mike Huckabee with 9%). When Romney was omitted from the survey, Undecided hops up to 17%, and Huckabee leads the humans with a pitiful 13%. Needless to say, Romney sure looks a panacea for Republican primary voters. And, irrespective of one’s political orientation, you would be hard-pressed to not admit some of his comments in the 2012 election were rather prophetic. Specifically on the topic of foreign policy, what was once ridiculed as absurd conjecture on the instability of Iraq and the nefariousness of Russia, Romney has largely been vindicated. 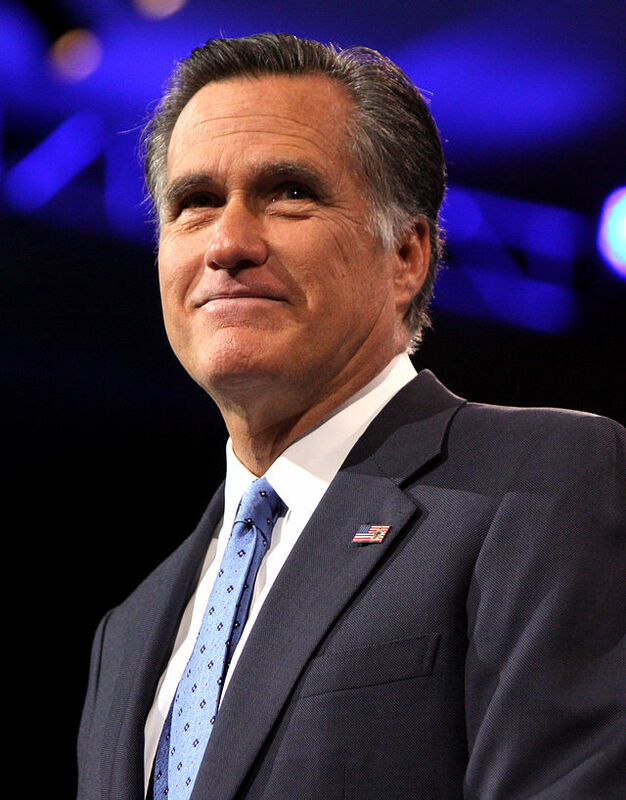 That all being said, I’m not so sure that –even if he were interested– Romney would be an ideal candidate for the Republicans in 2016. While many polls have, indeed, shown that the American people have some buyer’s remorse vis-a-vis Romney and Obama in 2012, the same polls still show that Romney would not outdo Hillary Clinton in a 2016 match-up. Let me be clear, speaking purely objectively, Romney would be a terrible choice for the Republicans in 2016. He lost last time not because he was outgunned by a superior candidate, but because he was such a lousy one himself. He lost an election against a vulnerable incumbent in a bad economy. The reason why was quite simple: he offended the American people by espousing extreme political positions and repeatedly putting his foot in his mouth. There is no reason to think he will not do the same thing once more. Do you know what the 113th District Court does? What about just a Civil District Court in general? Therein lies the problem that hoodwinked voters in 2012, and we sincerely hope does not negatively corrupt them once again in this year’s primary. In the year 2008, voters elected a Democrat named Steven Kirkland to a Civil District Bench in Harris County. Kirkland is openly gay, but that definitely was not the reason he got elected. Contrary to some of the stories you may have heard, it wasn’t the reason he was defeated for re-election in 2012 either. Instead, the story bears a much sneakier and nefarious orientation. Shortly before the 2012 primary, Judge Kirkland presided over a suit against a prominent attorney accused of overcharging his clients. When all was said and done, the attorney –George Fleming– had been cost $13 Million by the lawsuit. Fleming ultimately appealed the decision, but that was not enough. He was out for blood. Buying a general election is hard, particularly when so many voters select a straight ticket option in the Presidential year. But buying a primary election, where turnout hovers only in the single digits, is significantly easier. Fleming recruited an attorney by the name of Elaine Palmer, almost exclusively bankrolled her campaign, and let the cards fall where they may. Click here to read the full endorsement! After the incumbent District Attorney, Mike Anderson, passed away this last August, Harris County began preparing for a Special Election in November 2014 to fill the remaining two years of his term. In the interim, Mike Anderson’s widow, Devon Anderson (hereafter, “Anderson”), was appointed by Governor Perry to fill the vacancy. Anderson, a former Judge, will be running for re-election, though one should probably expect a challenger in the Republican primary. Meanwhile, the Democrats already have a good candidate announced: Kim Ogg. She is from a prolific political family, has extended expertise in both law & criminal justice (former director of Crime Stoppers) and will make a great candidate who stands a good chance of winning the election. Contrary to public opinion, the DA should not simply be the high executioner who shows no mercy, it is a position about justice and equity. In other words, perfect for a progressive person such as Ogg. But these are the Democrats we are talking about, which naturally means adding a tablespoon of incompetence. Since we are talking about the Harris County Democrats in specific, probably two tablespoons to be safe. And I do not mean the leadership of the County Party, I mean the people who show up and vote in the primaries. Click here to read who the Democrats must fight in their battle against incompetence!